Home › Electronics › 2.5Mm Female To 3.5Mm Male 4 Poles Jack Stereo Headset Adapter (Supports Both..
2.5Mm Female To 3.5Mm Male 4 Poles Jack Stereo Headset Adapter (Supports Both.. This cable will allow you to use your headsets with 2.5mm jack (e.g., Panasonic KX-TCA60 Hands-Free Headset, Xbox 360 headset, etc.) on your latest electronic devices. 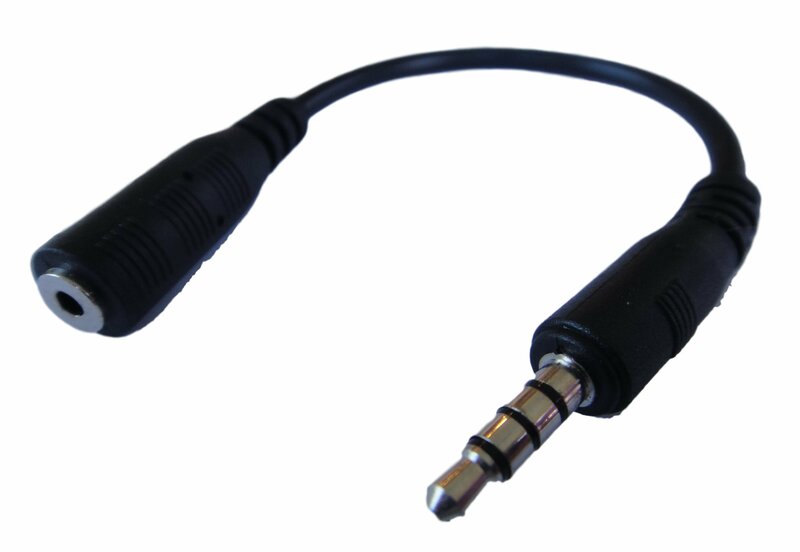 The 3.5mm plug is compatible with latest electronic devices including latest iPhone (5, 6 and newer versions), Android devices, smartphones, tablets and PCs with combined mic/headphone 3.5mm jack. NOT Compatible with older electronic devices such as iPhone 3GS, iPhone4, Droid RAZR M, Nokia 520, Samsung Galaxy S3, Nexus 4, Blackberry Bold, old Nokia (and also Lumia starting from the 2nd gen), old Samsung (2012 Chromebooks), 2013 Air and 2014 Macbook Pro Retina, Chromebooks, Asus T100 Tablet, iPad 3, PlayStation Vita, etc. Ienza is a registered trademark. Use of the ienza trademark without the prior written consent of ienza, LLC. may constitute trademark infringement and unfair competition in violation of federal and state laws.